The Great Exchange by Jerry Bridges and Bob Bevington is also on sale for $2.20. I love reading the Bible. I’m sure you do too. Though some seasons are better than others, there’s nothing quite like digging deep into God’s Word. Over the years, though, there’s been some truths about the Bible that I’ve discovered that I don’t hear in most Christian circles. What are they? This is Not a Day Care. It’s a University! Everett Piper speaks up about an issue that no doubt has many educators up in arms. No one will write a book about us. People will not tell our story at missions conferences. We likely won’t be invited to go and share at churches or speak to future missionaries about the keys to success on the frontiers. We are going home, settling back into a normal routine of work and life — and licking our wounds for the foreseeable future. 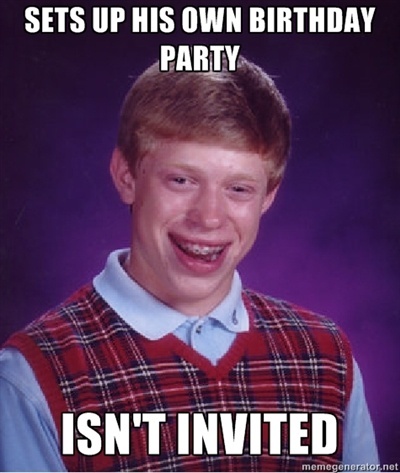 You’ve seen the meme; meet the man known as Bad Luck Brian. Aaron Earls on the recent shooting in Colorado.